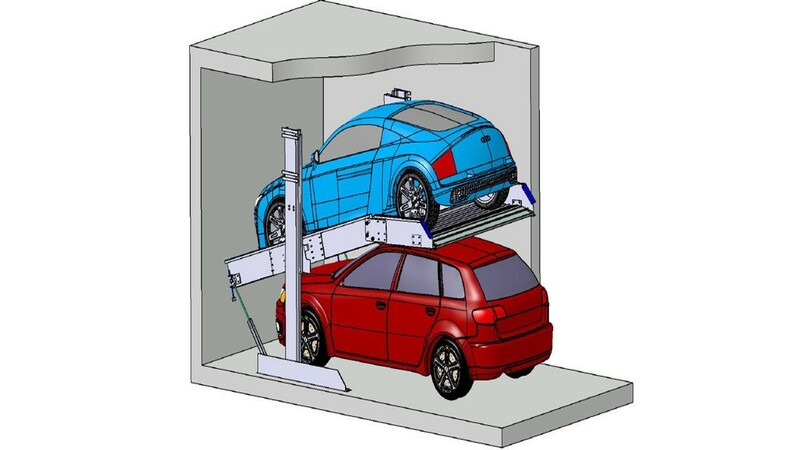 An autostacker is the perfect solution in case of parking shortage. 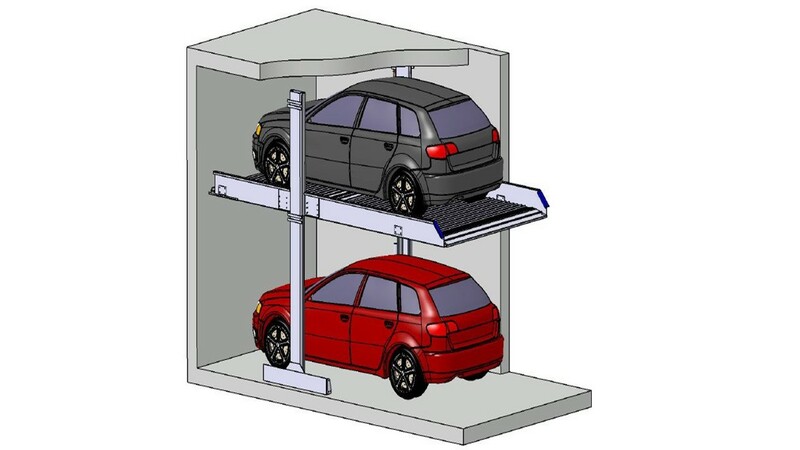 Our flexible, mechanical parking systems have several parking levels. They are therefore well suited for underground garages as well as single-family and multi-family houses. 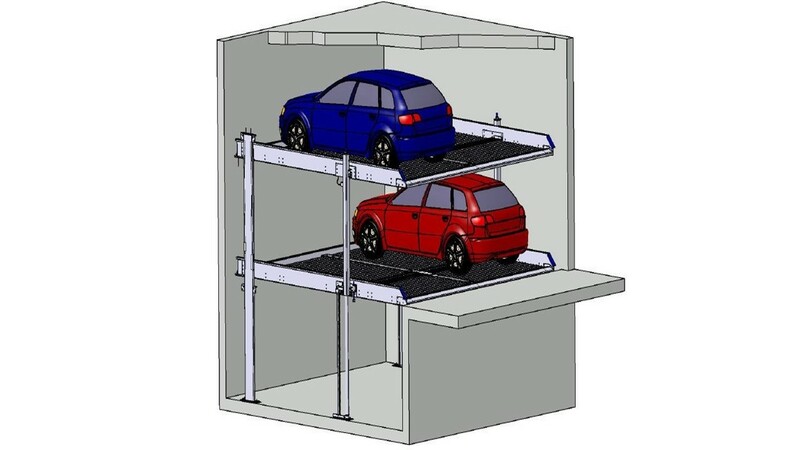 Depending on the model, there is space for two to six cars in the double parking garage. 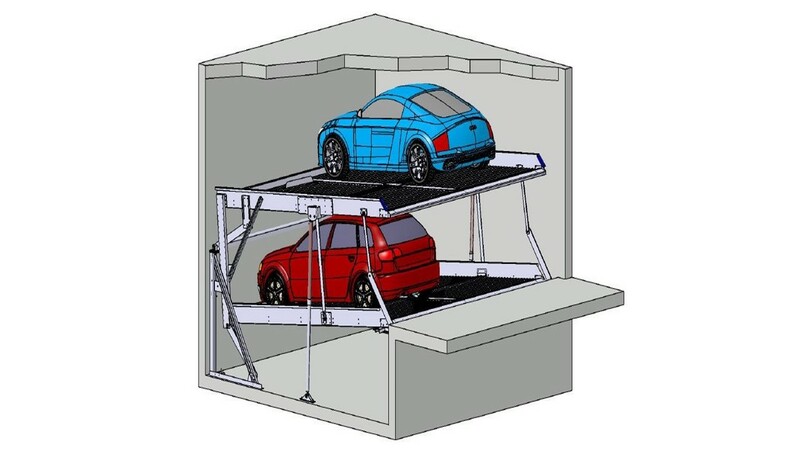 With a parking space load of 2000kg to 2600kg almost every car can be parked comfortably on it. Our double parkers are characterized by their special user-friendliness: Your vehicle is made available to you by simply turning the key. 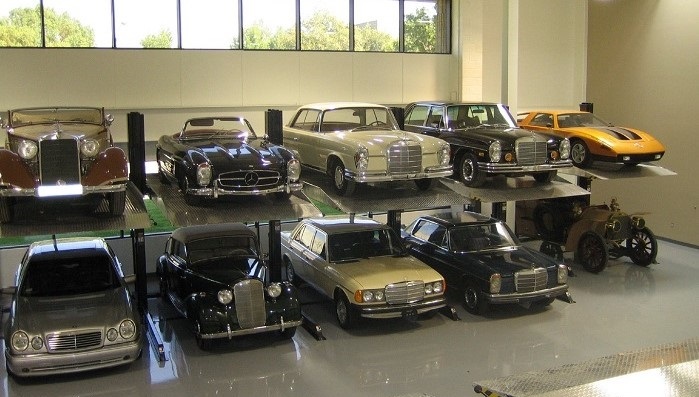 Due to the different parking space heights and widths of our models, you will find the right Parker for every object! Our stack parkers are characterized by low maintenance costs, high operating and functional safety (TÜV tested / CE certified). A distinction is made between dependent and independent parking for double parkers. If there is a pit in your property, the parking spaces can be lowered mechanically. This means that every parking space can be used independently and flexibly. This means independent parking. 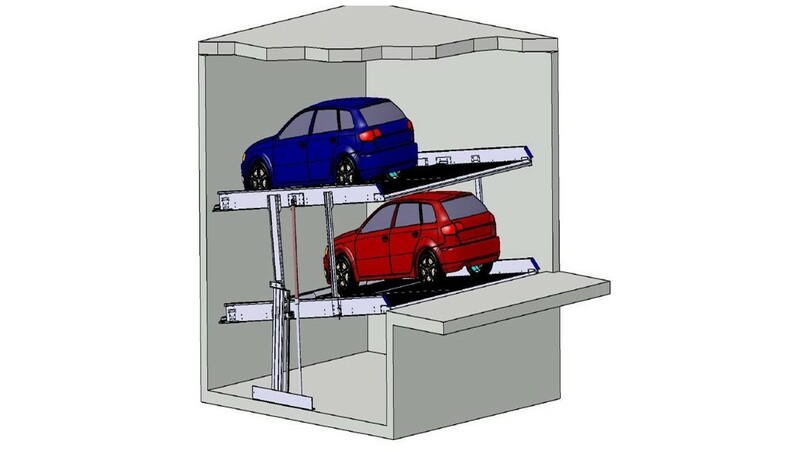 Our parking systems for buildings with pits are autostacker S1.6, S1.8, S22 and S3. Dependent parking is available if there is no pit when the parking system is built. This means that the upper vehicle can only be extended if the lower floor is not occupied by another car. 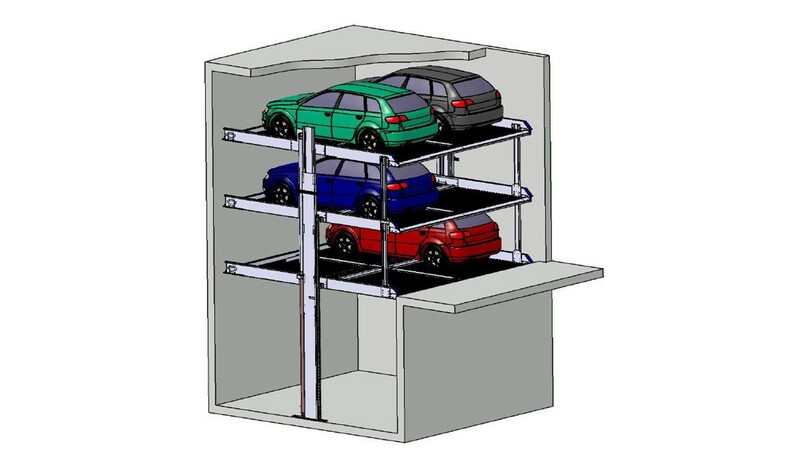 Dependent parking systems are particularly suitable for retrofitting. This allows the parking space to be compacted without incurring high costs for digging a pit. Especially the ramp plates of the parking systems are exposed to enormous loads. Based on our experience, we have been able to develop drive-on plates for double parkers that have proven to be particularly durable. With these drive-on plates we can guarantee the high quality and longevity of our systems!